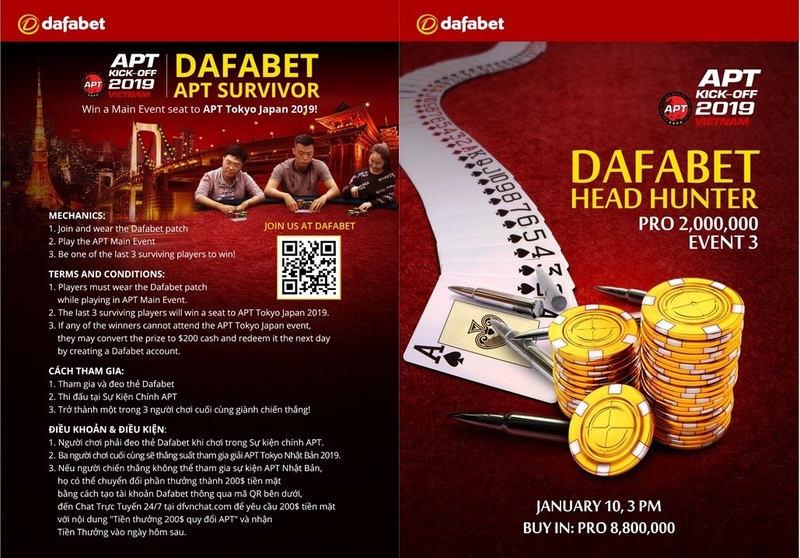 The multi-faceted online giant Dafabet joins the APT Kick Off 2019 set to be held at the Pro Poker Club in Ho Chi Minh, Vietnam. Dafabet recognizes the APT as a perfect vehicle not only to raise brand awareness in Vietnam, but also to entertain their players with the help of a live experience. Dafabet will also sponsor some fun and great promotions surrounding the Main Event and their sponsored Head Hunter event. Dafabet is the Asia’s leading online betting site and home to some of the best gaming products on the web that includes Sports Betting, Online Casino, Live Casino Games, Online Poker, Flash Games and an array of world class online betting games. 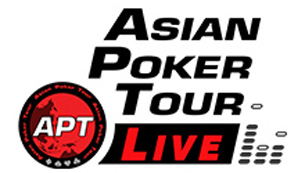 The VND 14 Billion Guaranteed APT Kick Off Vietnam 2019 from January 9-20 features a VND 22,000,000 Main Event along with a VND 38,500,000 Championships Event accompanied by several Side Events and Satellites. Full APT Kick Off Vietnam 2019 schedule.